The holidays wouldn’t be the holidays without eggnog, whether it a tall glass or using it to flavor or jazz up a recipe. 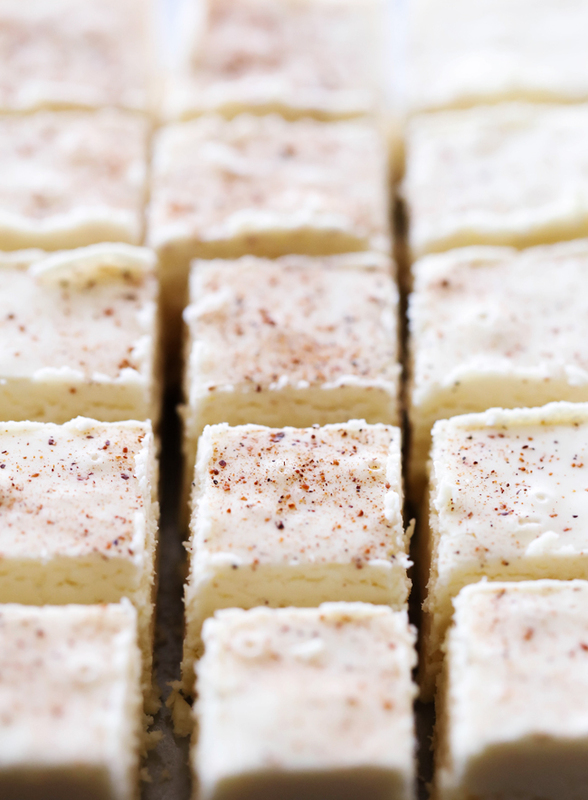 This Eggnog Fudge was spectacular and one I will be definitely making every holiday from here on out! I love when eggnog makes an appearance in desserts and baked goods. This fudge is no exception. 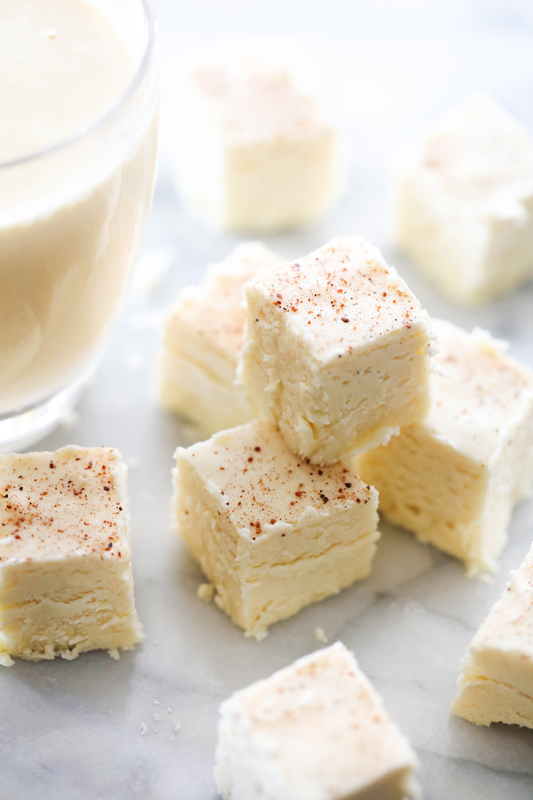 With eggnog as the star of this fudge, it makes this holiday fudge come to life with each and every bite. The spices and creaminess are so enjoyable. This fudge is truly a must make! Line a 8x8 baking dish with aluminum foil and spray with cooking spray. Combine butter, sugar and eggnog in a large saucepan over medium-high heat and bring to a boil. Boil over medium high heat, stirring constantly, until the temperature reaches 234º F.
Remove from heat and add chocolate chips and stir until smooth. Add marshmallow crème and vanilla and stir until smooth. Pour in the prepared baking dish and smooth with a spatula. Sprinkle with nutmeg.